And while we're normally not huge fans of Kings, Wendy's is watching this season with you every step of the way through a partnership with IGN. Tune into The Ringer's Talk the Thrones pre-and post-show for a LIVE break down of the action during the first two episodes on April 14 and April 21. Fans can also join the conversation by following #HouseWendys on Twitter and using the custom Wendy's emoji inspired by the show. WHERE: Place your order on DoorDash.com or use the DoorDash mobile app to stake claim in this awesome reward. HOW: When you play the game with #HouseWendys you always win. Use the code HOUSEWENDYS at checkout to receive a FREE small Frosty with the purchase of a Spicy Chicken Sandwich Combo when ordered through DoorDash. This offer is limited to a single use per account through May 19. Wendy's® was founded in 1969 by Dave Thomas in Columbus, Ohio. Dave built his business on the premise, "Quality is our Recipe®," which remains the guidepost of the Wendy's system. Wendy's is best known for its made-to-order square hamburgers, using fresh, never frozen beef*, freshly-prepared salads with hand-chopped lettuce, and other signature items like chili, baked potatoes and the Frosty® dessert. The Wendy's Company (Nasdaq: WEN) is committed to doing the right thing and making a positive difference in the lives of others. This is most visible through the Company's support of the Dave Thomas Foundation for Adoption® and its signature Wendy's Wonderful Kids® program, which seeks to find every child in the North American foster care system a loving, forever home. Today, Wendy's and its franchisees employ hundreds of thousands of people across more than 6,700 restaurants worldwide with a vision of becoming the world's most thriving and beloved restaurant brand. For details on franchising, connect with us at www.wendys.com/franchising. Visit www.wendys.com and www.squaredealblog.com for more information and connect with us on Twitter and Instagram using @wendys, and on Facebook at www.facebook.com/wendys. DoorDash is a technology company that connects customers with their favorite local and national businesses in more than 3,300 cities across the United States and Canada. Founded in 2013, DoorDash empowers merchants to grow their businesses by offering on-demand delivery, data-driven insights, and better in-store efficiency, providing delightful experiences from door to door. By building the last mile delivery infrastructure for local cities, DoorDash is bringing communities closer, one doorstep at a time. Read more on the DoorDash blog or at www.doordash.com. **Delivery via DoorDash available only in select markets at participating restaurants while supplies last. One free small Frosty per DoorDash account. Prices may be higher than in restaurant. Additional delivery fees, service fees, surge fees, small order fees, taxes and gratuity may apply. See full terms and conditions at dasherhelp.doordash.com/offer-terms-conditions. *** Offer valid with Doordash only. Promo code required. One redemption per account. Valid only on Sundays. 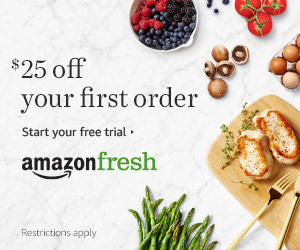 Ends 5/19/2019.